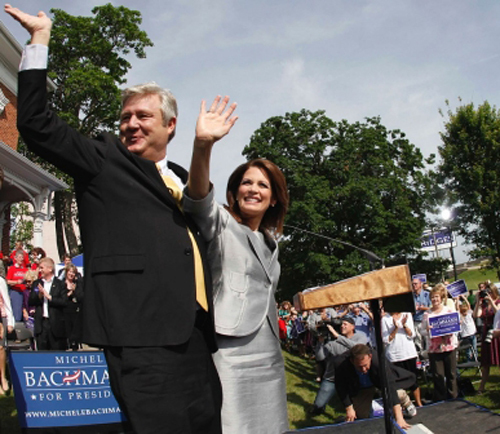 Why Michele and Marcus Bachmann are so dangerous to the LGBT Community. “But we also know that the very founders that wrote those documents worked tirelessly until slavery was no more in the United States.” . These are just a few of the ignorant and hateful comments Mrs. Bachmann has made about LGBT people. But this is the tip of the iceberg when it comes to the damage her and her husband are doing. Michele’s husband is “Dr.” Marcus Bachmann. Bachmann is no more a doctor than I am a Wimbledon contender. But unlike my false claims to be a tennis superstar, Bachmann’s claims to be a medical professional can kill people. Bachmann practices without a license. 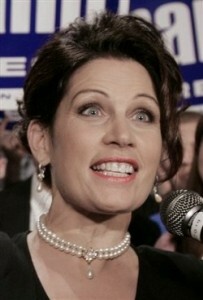 Bachmann, who’s own sexuality has frequently come into question, practices “reparative therapy” on gay people. He has referred to gay people as “barbarians” that need to be “educated” and “disciplined.” This kind of therapy has been proven to be harmful and even lethal to people who enter into it. While I cannot seem to find any reports or any of Bachmann’s patients who have come forward to discuss his harmful practices, the harm done by this type of “therapy,” has a long, bloody track record. Through Mrs. Bachmann’s campaigning, this idea that gay people can somehow be “cured” will be given validation to those who deify her and hang on her every word. This will send more parents home to their gay, lesbian, bisexual and transgender children to send them in to “reparative therapy,” where those children will learn to hate who they are – sometimes to the point of suicide. ***One more thing…the LGBT community has been calling out others quite a bit in the past two years for anti-LGBT bullying. The assumption that a child might be gay because of the way he or she acts or speaks or even walks, has caused some horrific retribution from classmates, teachers and even parents generation after generation. “Dr.” Marcus Bachmann’s sexuality is known only to him and whoever else he wants to know. Some are concerned that our assumptions about him based on the way he acts, speaks and walks might be hypocritical and might be a bad message to send young people – that he should be called “gay” simply because of his mannerisms. It’s a tough discussion, because no, we absolutely should not make assumptions based on outdated stereotypes. But at the same time, Bachmann himself has inadvertently alluded to the fact he might be gay on more than one occasion by using the “we” pronoun instead of “they,” and with hints like that, coupled with the fact that he is a public figure potentially responsible for the suicide of LGBT people, his actions and possible hypocrisy must be spoken about openly.